St. Patrick's is a wonderful place for children and young people to be together, have fun, to learn and grow. We are a community where there is something for everyone. Our programs include spiritual, athletic, educational, and musical activities. We offer programs for children of all ages. From Playtime with Mommy class to camp for your teenager, there is something for children of all ages! Our Youth Activities promote our values and lifelong goals. Meets on select Friday evenings in youth office. New members ALWAYS welcome. A musical group open to 7th through 12th graders. The Folk Group and Folk Group Band perform at the 9 a.m. Mass, the Youth Christmas Show and other events. A choral group open to children in 1st through 6th grades. The Children's Choir performs at some Sunday Liturgies and during the Youth Christmas Show. A five-day a week summer camp for children ages 3 to 15. The camp offers a wide range of on-campus activities as well as trips. Tutoring for students in Kindergarten through 12th grade. SAT preparations, study skills and Catholic High School entrance exams classes are offered. Kindergarten readiness program, before and after school/camp care for children four years old and up. The program offers a secure environment where children can learn and grow. Playtime with Mommy/Caregiver: Offers class time for you and your toddler up to age 3. Crafts, circle time songs. Our Sports Programs promote our values and help build lifelong friendships. Our Camp is unique because we have both on-site days as well as days which the camp goes to various places around Long Island. Our on-site days include clinics in which campers will partake in science, art, sports, music/dance, and snack. 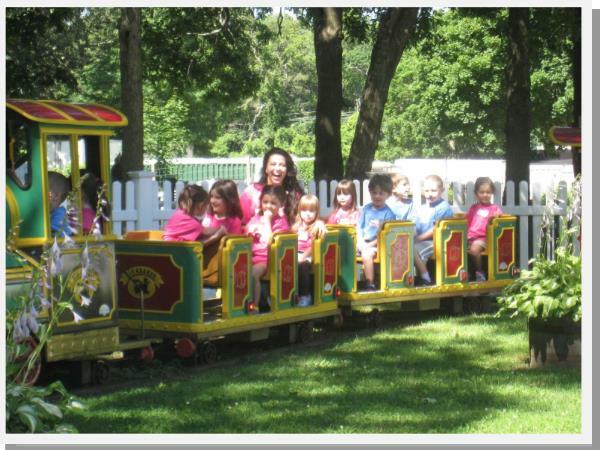 Our trip days include places such as Splish Splash, Adventureland, Fire Island, and other various places. The safety and welfare of your child is our primary concern. We have a counselor to camper ratio that well exceeds the standards set by New York State. Each group is assigned with a counselor who is RTE (Responding to Emergencies) and CPR certified. Our certified lifeguard counselors accompany us on all water tips. Want to learn more about our summer camp? Click below to watch a video about our camp and discover all it has to offer! 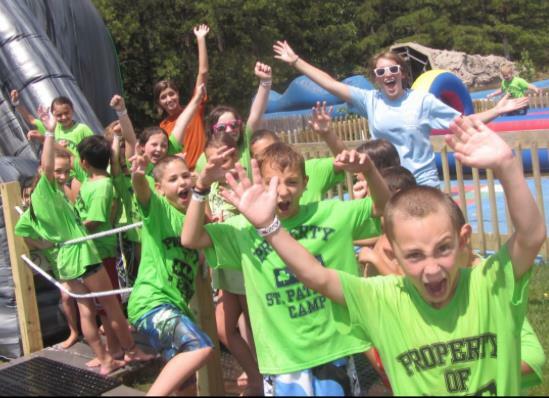 Saint Patrick’s Day Camp offers our Kiddie Camp for children ages 3-5. 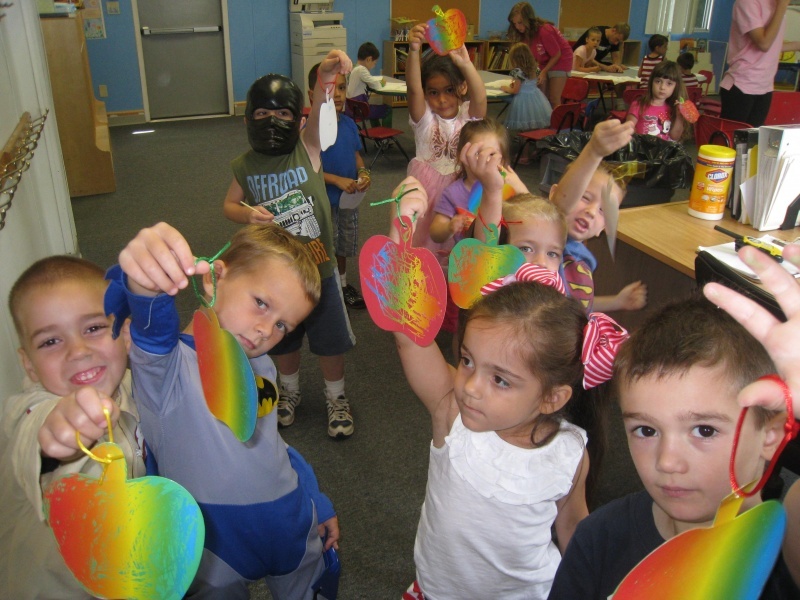 Daily activities include circle time, crafts, sports, games, music, as well as workbook time. Kiddie Camp also has field trips for full day campers. Kiddie Camp also participates in our talent shows. Morning and afternoon snacks are provided with safe alternatives for those children with allergies. 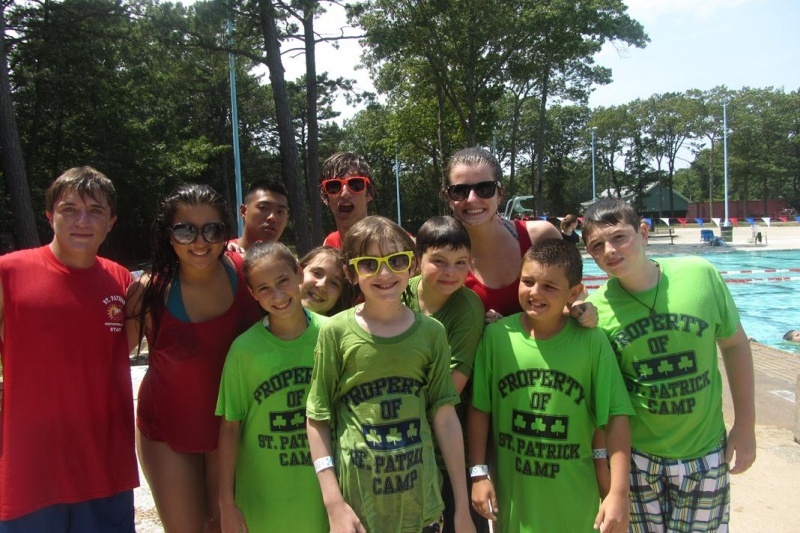 Saint Patrick’s Summer Camp’s main camp section is for all children ages 6-12. Campers are all put into same age groups and go through the day together with their counselors. Our main camp has days that are both on-site and off-site. Our main camp also takes part in our camp specials such as talent shows, Green vs. Gold field days, and camp carnival, among others. Campers are able to select which days they come to camp with a minimum of two days for any week registered. Main camp also has half-day trips in which they will be at St. Patrick’s for half of the day doing our clinics and spend the other half on a shorter trip. Our clinics are used to teach the campers skills such as making snack, as well as support creativity with science, music and motion, and art. 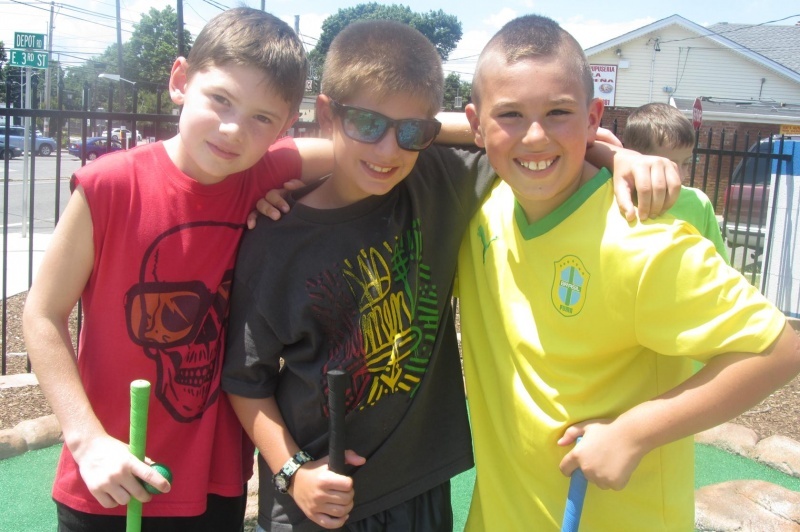 Campers are provided with a fun summer experience that they will be sure to remember for a long time. The Teen Travel portion of our camp is for children ages 13-15. 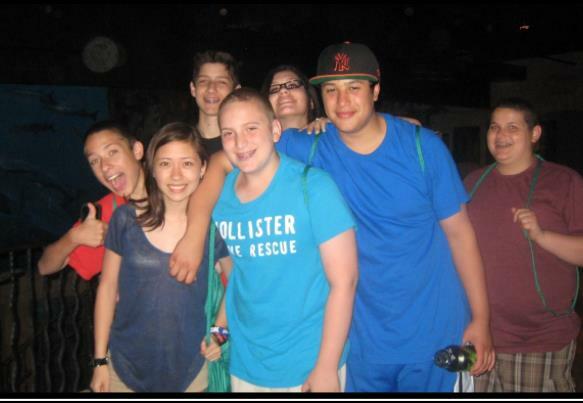 Our Teen Travel group goes on trips everyday including places in New York City, New Jersey, and Pennsylvania. Exclusively available to our Teen Travel group are our overnight trips. Overnight trips are a big step for a teenager so we make sure they are fully prepared and supervised. Informational meetings regarding the trips are held to address any concerns that you or your camper may have. 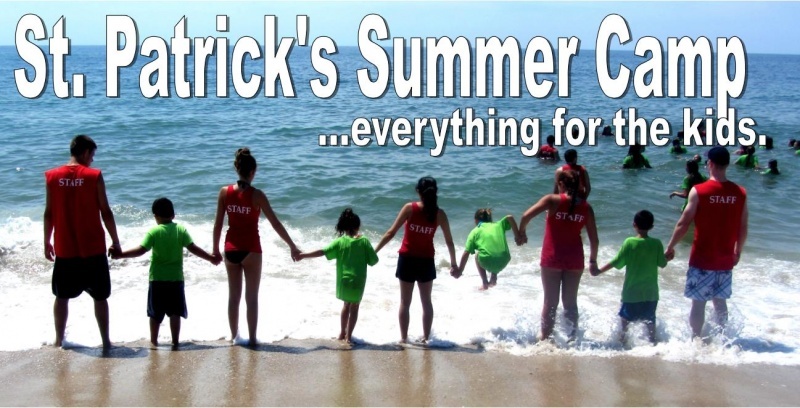 Camp St. Pat’s provides the ultimate camp experience for children ages 3-15. Celebrating more than 30 years of safe, summer fun, with one of the best counselor-to-camper ratios in Suffolk County. Offering before- and after-care, flexible schedules, day and overnight trips, STEAM, vacation bible school, art, sports, music, and dance.